Who didn't love alphabet soup when they were growing up? I know I did. Well this is even better. I had this idea while making my first batch of quince sherbert marshmallows. I had just picked up these adorable alphabet cookie cutters from the 2 dollar shop. (How awesome are 2 dollar shops? I never used to understand my Mum's obsession with them, I found them so incredibly azn and pointless. But now I realise they are the perfect place to pick up stuff for baking!) 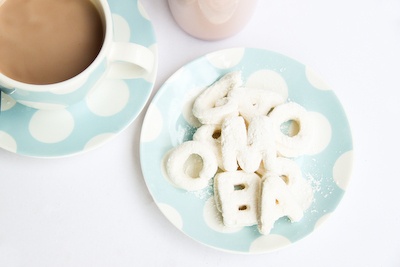 And so I thought to myself, how cute would it be to make homemade vanilla bean marshmallows, that were cut out using these alphabet cookie shapes? The answer? REALLY FREAKIN' CUTE. OMG, indeed. My only annoyance with this recipe is that it requires light corn syrup, something that is very hard to find in Australia. I managed to find some at the Essential Ingredient before it moved far far away from me :( I'd guess it might available at other gourmet stores or possibly David Jones food hall. Or you could possibly try replacing it with this Invert Sugar Syrup recipe at the awesome Not So Humble Pie blog. Or use a recipe that doesnt require corn syrup, and uses glucose syrup instead, like the quince marshmallows I did previously. And then get a giant teacup like the one I have so you can spell out as many funny words as you can think of. Either way, homemade marshmallows are delicious. Vanilla bean marshmallows are uber delicious. 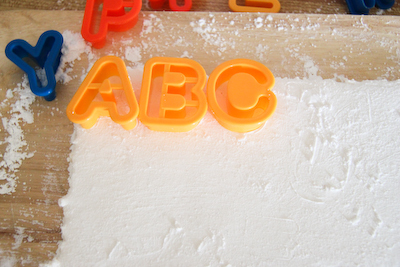 Alphabet vanilla bean marshmallows are uber delicious and ridiculously fun! Kids will love them. You will probably love them too if you are a bit of a kid like me. 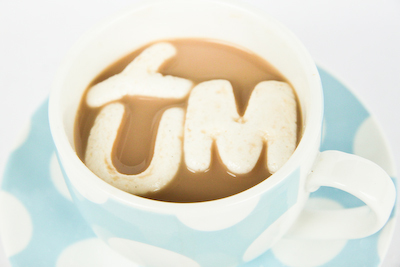 And who doesn't love a melty, gooey marshmallow in a cup of hot chocolate? Grease with vegetable oil and line a 28 x 18cm cake tin. In a saucepan, combine the water, corn syrup, and sugar, bring to a boil until “soft-ball” stage, or 235 degrees F on a candy thermometer. 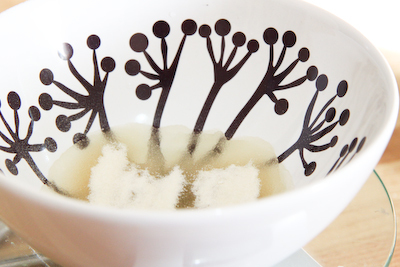 In the meantime, sprinkle the gelatin over the cold water and let dissolve. 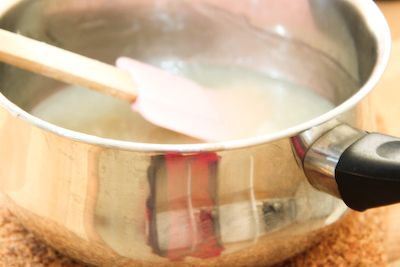 Remove the syrup from the heat, add the gelatin, and stir until the gelatine dissolves. In a large stainless steel mixing bowl, whip the whites until soft peaks form and gradually add the syrup into the whites. Add the scraped vanilla beans and continue whipping until stiff, and the mixture cools slighty. Pour into prepared tin and leave to cool and set at room temperature, this will take 2-3 hours or overnight. 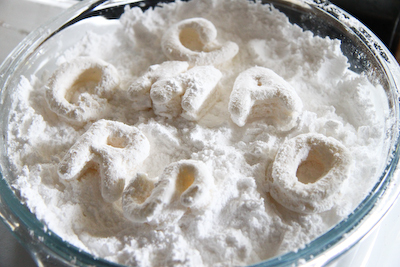 Combine icing sugar and cornstarch in a large bowl. Lightly dust a clean surface with mixture and then turn out marshmallow on to surface. Dust all surfaces with icing sugar mixture. Cut out shapes using alphabet cookie cutter, gently prying the marshmallows out of the cookie cutters. Toss each marshmallow in the icing sugar mixture to coat all surfaces. Try to cut out shapes without wasting too much of the marshmallow, leftover marshmallow scraps can be cut into small pieces and dusted, then saved as mini marshmallows. Store in an airtight container. Serve on it's own or with a cup of hot chocolate or other hot drink. What a great idea! Can I ask, when you say 'pour into prepared tin', what kind of tin? Like a shallow tray? OMG steph you are all kinds of awesome! I've said it before... the way your mind works is awesome hehe. Oh so darn cute. My nephew would absolutely love these. I wish I had a cup big enough to spell 'freaking adorable' in it LOL! How cute are these? I love love love them! 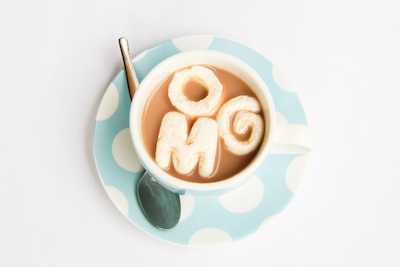 I think my favourite has to be the OMG ones... Dying to try these now! This is amazing in both concept and execution. What a great idea! I was so looking for this post!!! OMG OMG OMG!!! YUM YUM YUM!!!! ahhhh these are so cute!!! I've been wanting to make marshmallows for ages but this just takes it to a whole new level of cuteness :) awesome stuff! OMG! Steph! THese are sooo freakin cute!! So cute! Is it safe to assume that you had at least 3 cups of hot chocoalte (or meelo) during the process of this post :P? Great idea! They look fantastic. aww steph, these are soo cute. LOL I'm soo azn cause I love $2 shops, they have the most random things in there. OMG that's so YUM, and it looks as easy as ABC. I know so many young mothers that would love this idea! Gosh these look so cute! And yummy to boot! hi! what kind of camera do you use???! These stopped me in my tracks when I saw them on tastespotting. Just brilliant! I've never made homemade marshmallows before, but now I'm just going to have to, and then I'm probably going to have to try to toast them over a campfire to watch them get all swollen and golden. Wow these are so much fun! I love them hehe, woulde certainly like to have some of these in my hot chocolate. Brilliant as usual Steph! Love the playful spirit and cleverness. Love it, you should sell them! I've been making marshmallows with a very similar recipe for years. Cutting/forming them is an absolute bear. Worth the work, but there's lots of it. So cute! People wanting to make these with invert syrup should keep in mind that you don't have to make it like it's a separate component - you can just substitute the acid for the corn syrup in the recipe. Ha ha! If I was going to learn the alphabet, I would think - this would be the best way to do it! Again, another great Raspberri Cupcake idea! Eeeppp cuteness!!! Oh and I have the same cookie cutters too - must take them out and make some! Indeed - very. freakin'. cute. And I hear you on the $2 shops - they rock my world! 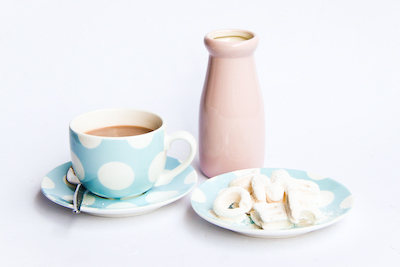 These are very cute and look like the perfect addition to hot chocolate. I wonder what other creations can be made the alphabet cutters. You may have trouble finding light corn syrup but your local $2 shop is obviously damn better than mine! You have made a cup of awesome. chocolatesuze - Hehe thanks Suze! It was fun! A cupcake or two - Hehe I hope so! I wish I had time to make more! Lisa - Thank you!! And thanks for recommending the recipe ;) Hehe I think the red one is cuter! Karen @ Citrus and Candy - Haha that would be a freakin big cup! The Ninja - :P Why thank you, I don't care how random it is, I <3 it! Sefie - Aww thank you!! It was seriously fun! Jacq - You should totally try them they are so easy to make! Sara (Belly Rumbles) - Thanks! Chele - Thanks so much! Simon @ the heart of food - Hehe exactly! :D thanks! Gina - Haha that would be awesome! I should! Chic Cookies - Yay thanks so much for linking to me! :)Yes you should try it, it's so easy and totally worth the effort! heatknivesandchemicals - Thanks! And thanks for the tip! Trissa - Haha yes I should totally teach my kids their ABCs this way :D THanks! smartygirl - Haha luckily it's not a bother at all getting the marshmallows out since they are quite springy, so you can pull the whole thing out once you get a hold of one corner. I used a chopstick to pry mine out! Trisha - Aren't they the best cutters? Do it!! Ladybird - Heehee thanks! Totally agree! Brenda - Aww shucks! Thanks! so adorably cute! i am going to do these for my kids! These made me smile. So very cute! This is amazing! Hope you don't mind, I featured it on my blog! is it okay if i will put food coloring? Sure, add it to the gelatine/cold water mixture I guess.